Sue Lawley's castaway is fantasy author Terry Pratchett. He's created a world full of wizards and witches, and his most popular character is Death. The castaway on Desert Island Discs this week is one of Britain's best-selling authors. 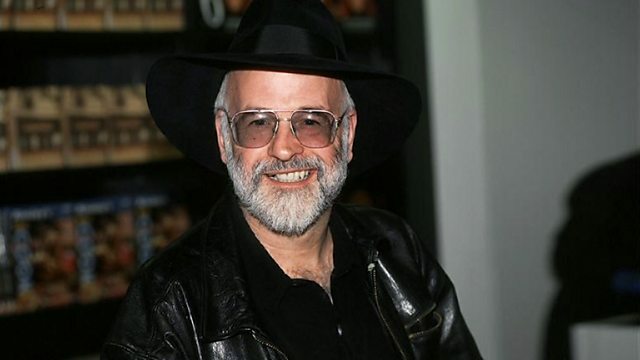 Terry Pratchett has written over 30 books, and sells more than one million copies each year. But as he tells Sue Lawley this week, he will never win the Booker Prize because, in this country, fantasy fiction is frowned upon. The Race For The Rhinegold Stakes. The Best Rock Anthems In The World Ever. Icehouse - Great Southern Land. A selection of programmes in honour of the great Sir Terry Pratchett.